Introducing very fast squad member mid thigh pull testing capabilities on all 400 Series Force Plates with portable MTP rig or within the FT700 Power cage systems. The Mid Thigh Pull Rig allows for quick and very safe method of determining maximal strength of any and every athlete regardless of their strength training background. 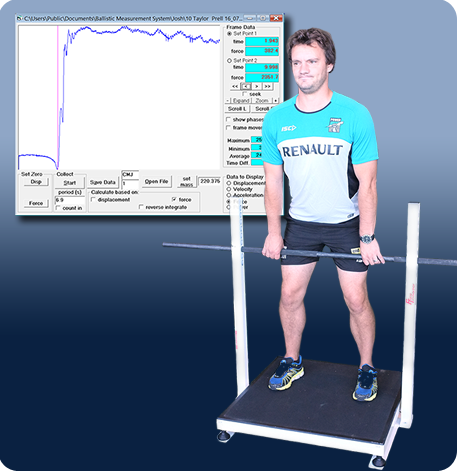 Avoids technique issues common to 1RM isotonic testing such as back squat but has high correlation with 1RM back squat. Please see: McGuigan and Winchester 2008.